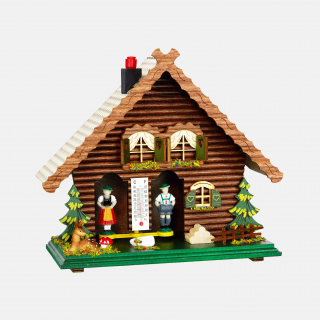 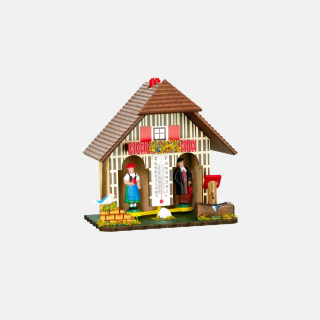 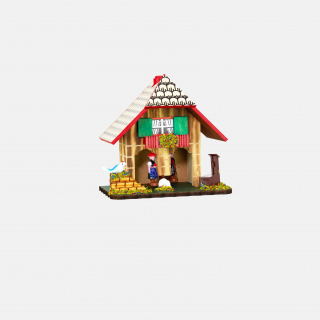 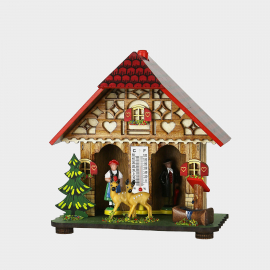 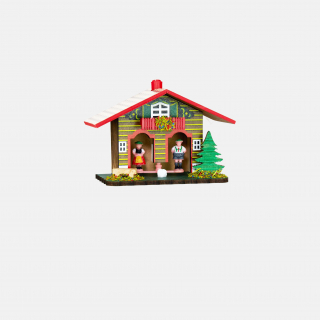 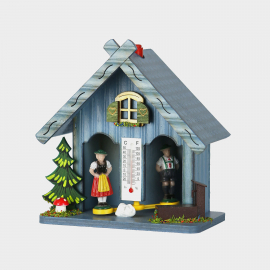 At the House of 1000 Clocks, we present to you a large selection of traditional and modern weather houses. 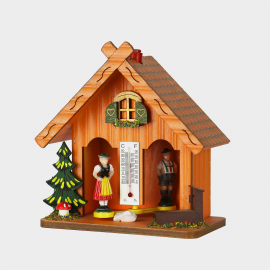 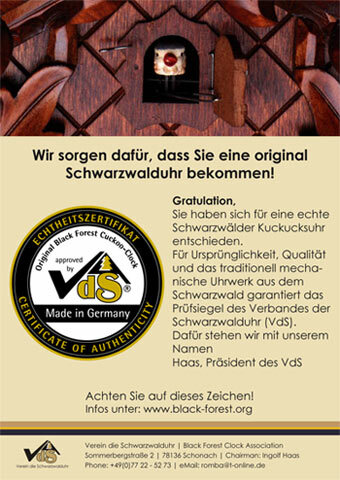 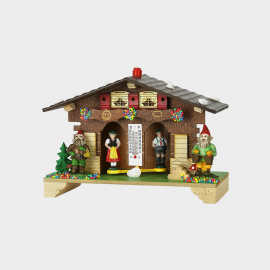 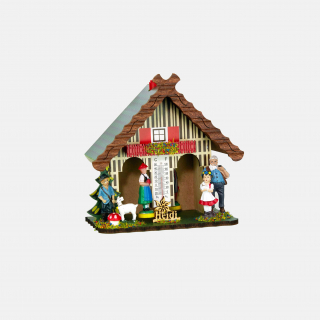 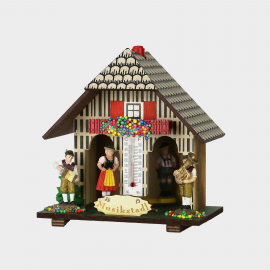 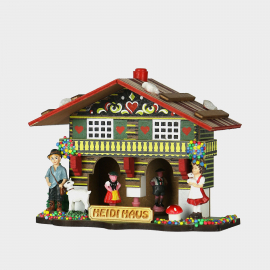 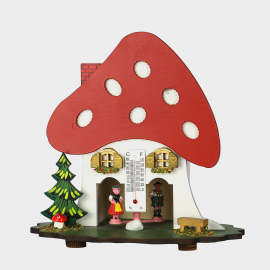 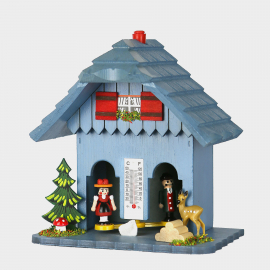 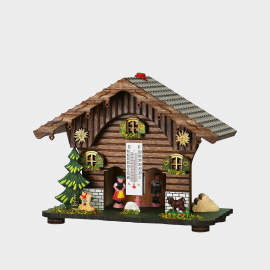 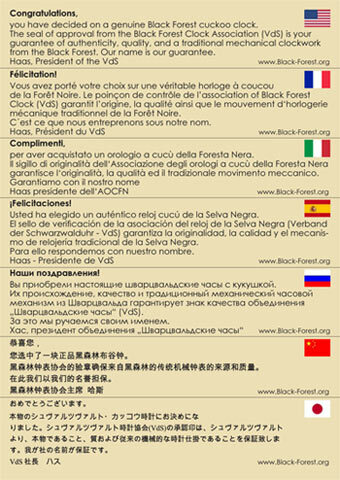 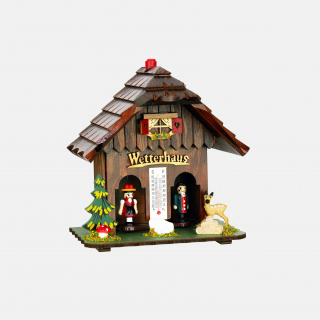 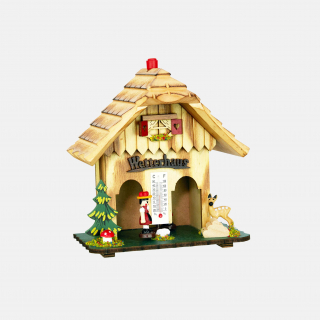 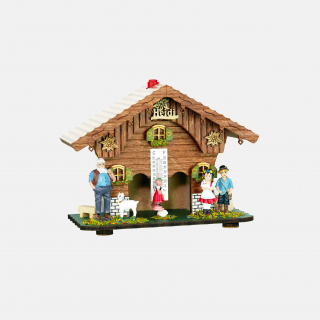 This hygrometer, which is made of wood and other associated materials, is designed and produced in the Black Forest. 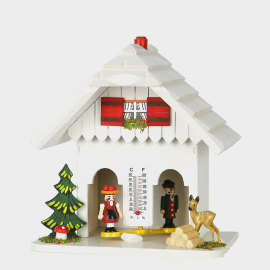 The regulating of the weather house takes place through the red knob on top of the roof. 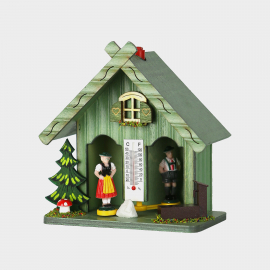 The thin thread in the inside of the weather house reacts to air moisture. 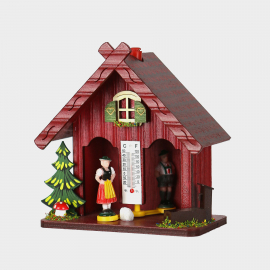 It causes the man to come out by rain weather, and the woman to come out when it is dry.